Once you receive your Africa Easy packing list and departure information for your trip, you may want to purchase a few travel items and do some research before you go. The companies and organizations on this page are selected sources to help you find travel clothing, additional information on your destination, as well as Africa travel in general. There is information below on travel insurance, health and medicine, passports and visas, and much more. 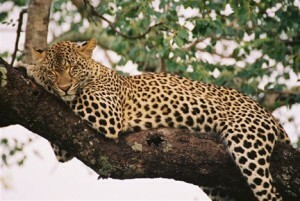 Please contact us for more information about our trips and traveling with Africa Easy. Our team is happy to answer questions and offer guidance on planning your next adventure. Medical Evacuation insurance is mandatory for travel with Africa Easy and proof of purchase is required. Africa Easy also strongly recommends purchasing a policy that includes trip cancellation / interruption coverage. Please use the Africa Easy Location # 47-0170 if you use Travelex. Please use the Africa Easy Agent / ARC # 00130785 if you use Travel Guard. Note that Insurance has to be purchased within 14 days (Travel Guard) or 21 days (Travelex Travel Select) of your deposit payment date, in order to waiver any pre-existing conditions. CDC Travelers’ Health Health information for specific destinations. British Airways Travel Clinic Excellent source of information on keeping healthy while in Southern Africa. They’re based in South Africa, and have a much more current perspective than many other companies. Passport and Visa Hotline A company specializing in passports and visas; for travelers requiring visas for African countries, and who would rather have someone take care of the visas for them, a most worthwhile service. Passport Visa Express An alternative company assisting travelers with visas and passports. Bureau of Consular Affairs Passport and visa information for U.S. citizens traveling abroad and others traveling to the United States. Ex Officio No wonder people expect more from Ex Officio. Look what we’ve been putting in our clothes since 1987. Mountain Plus Outdoor Gear Your premiere back-country adventure outfitter. It’s the experience, not just the gear, that matters in the end. TravelSmith While travel is always unpredictable, your travel gear never should be. Ship to Shore Traveler You will find the highest quality gear available, chosen by seasoned pros. Plus, valuable personal advice from experts who have been outfitting expeditions since the first cruise ship ventured down to Antarctica. This is an excellent site for gear for all climates and conditions. Fodor’s America’s bestselling travel guide series – everything you need to plan a perfect trip. Frommer’s Striving to live up to your discerning approach to travel by delivering the most candid and reliable information in our guidebooks. Longitude Books The classic, new and hard-to-find books and maps to help you get the most out of your adventures. Lonely Planet Over 650 guidebooks in 14 different languages, covering every corner of the planet. The World Factbook Reference maps and updated country profiles, including climate and currency information, provided by the U.S. government. Travel for Kids Well-researched lists of children’s travel books and tips for destinations worldwide. Peace Parks Foundation A non-profit organization dedicated to preserving and enlarging Africa’s wilderness areas. World Conservation Monitoring Centre Links to many conservation outfits and offers information resources worldwide. Weather Channel Click on the African country you are interested in, and choose a city for today’s weather as well as a three-day forecast. South African Tourism Board With an introduction to the country and some great pics. Mbendi Country Profile Detailed information and information on African countries. All Experts Volunteer experts answer your questions about tourism in Africa. Cape Town A Cape Town city guide with things to do and places to go. Kruger National Park A great site featuring background information, pics, and stories about this world renowned African Park. South African Museums With links to a host of interesting sites relating to culture and history in Southern Africa. Plettenberg Bay A guide to the community of Plettenberg Bay and some of its many marine highlights. Ocean Adventures Offering great tours to see whales, dolphins and general marine outings along the Garden Route.